This park was built in 1923 by William F. Knebelkamp, and was criticized for it. 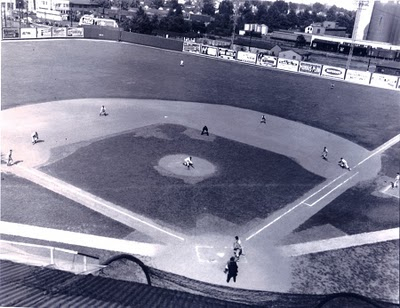 Baseball wasn't too strong in Louisville at that time, but once they saw the large concrete and steel park with a large grandstand, the masses were happy. Nothing like this had been built in Louisville before. The left field wall is very tall to protect the road behind it and the large, hand operated scoreboard that used to be there. 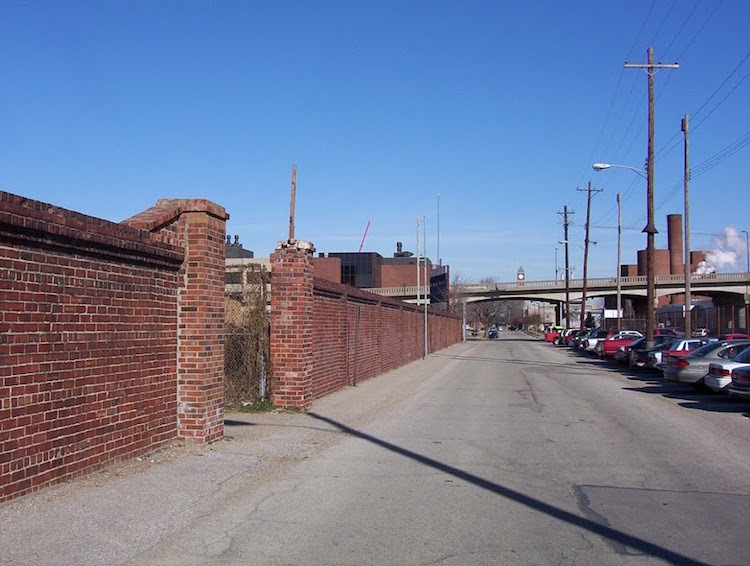 The grandstand was torn down in 1961, but the brick walls (pictured above) still remain. This field was used by the University of Louisville until they moved into Cardinal Stadium. © 2004-17 Paul Healey. Old photo © its owner.